The 2017/18 SAPS annual crime statistics reveals major concerns for motorists in South Africa. 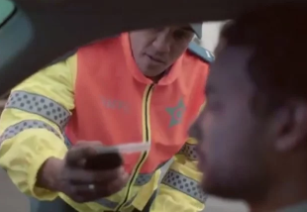 SAPS reports 86 160 cases of motorists driving under the drugs and alcohol, an increase of 14.8% (2015/16). Howard Dembovsky, Chairman of the Justice Project SA, shares his views on DUI in SA. Dembovsky said: Although carjacking is marginally down truck hijacking is on the increase, and that must be viewed as problematic, given the values involved. What is very concerning indeed is the almost 15% rise in incidents of driving under the influence of alcohol. "Just why it is that motorists don't appear to be getting the message that driving under the influence is one of the most dangerous road traffic offences anyone can commit is beyond me. "It will, however, be interesting to see how many of the 86 160 people arrested for this crime are convicted. "In my view, it should be mandatory for South African Police Service, the National Prosecuting Authority and the Department of Justice to supply conviction rates, especially for crimes which are "detected" as a result of police action." The South African Police service has released crime statistics for 2017/18. Below are DUI stats for all nine provinces.